Zoolander 2: Will Ferrell & Mugatu Will Return! As we previously reported, Justin Theroux said there’s a script for Zoolander 2, and shooting should begin in the next year if all goes well. It’s not clear who will direct, but it appears that the man behind the title character, Ben Stiller, could also get behind the camera to helm. That would certainly be a departure from his last directorial effort with The Secret Life of Walter Mitty. 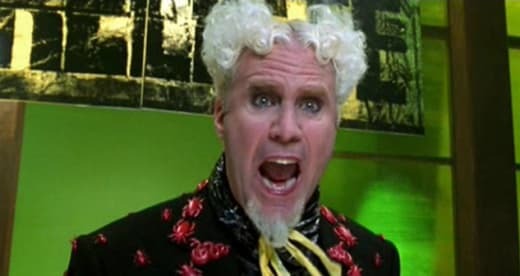 And now we know another who will be back too -- Will Ferrell’s Mugatu! More as details emerge from this highly anticipated sequel to the 2001 cult hit, and until then, watch Zoolander online and remind yourself how male models can save the world!